Mangere Mountain is one of the best preserved of Auckland’s volcanoes. 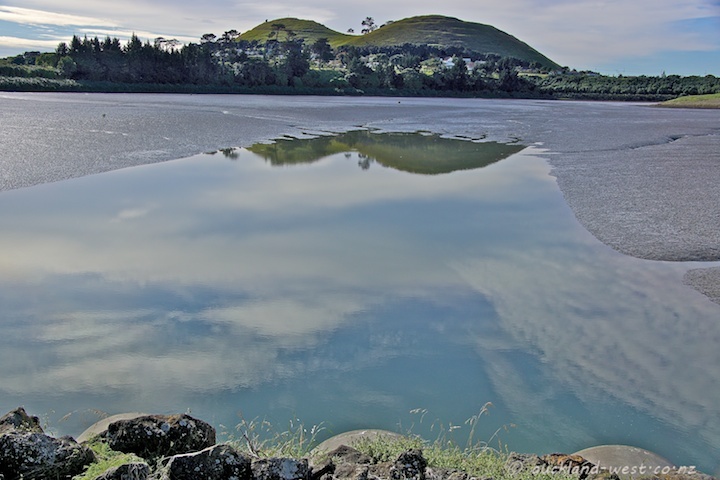 It has two craters, and the lava flows of the eruption about 18,000 years ago extend into the Manukau harbour. The lagoon which is in the foreground of the photo (outgoing tide) is itself an explosion crater.